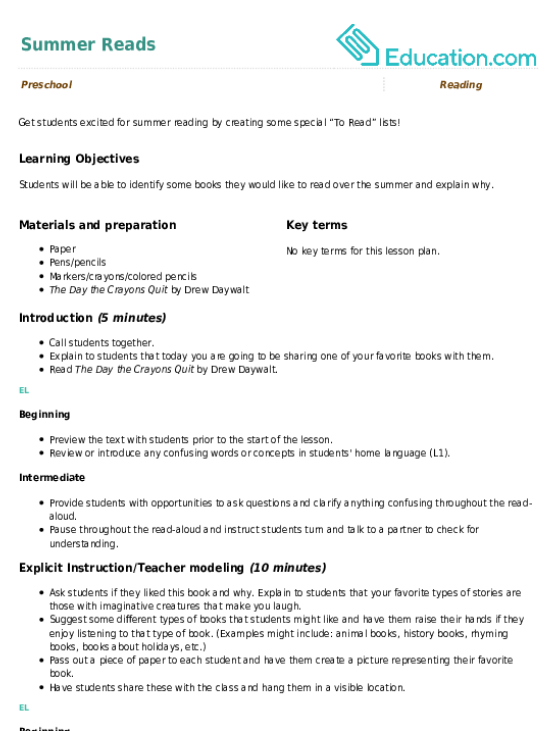 This summertime sun is burning brightly! 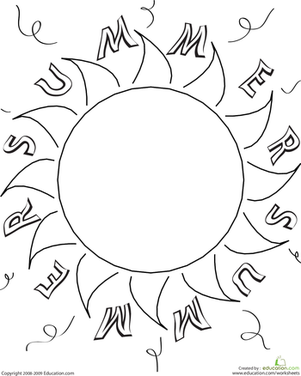 Help your child get ready for the warmest season with this simple coloring page, which features a blazing sun with the word "Summer" around it. 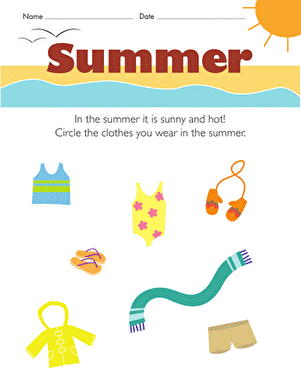 It's a sunny summer day, and kids completing this kindergarten science worksheet circle the appropriate clothes for summer weather. 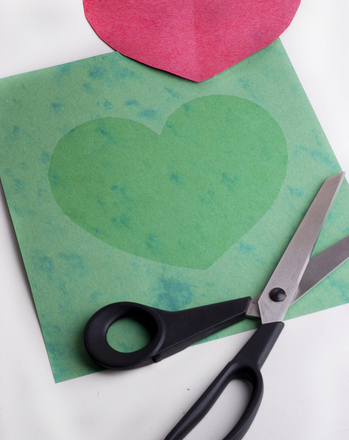 To learn rhyming words, students fill in the missing parts of this fun poem.